This festive event, which begins at 5:30 p.m., will feature an exquisite plated meal prepared by Tommy Sablan and the 40 Club Banquet Center staff. 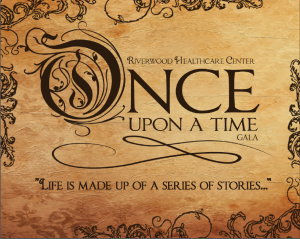 See the invitation at www.riverwoodhealthcare.org and click on NEWS & EVENTS/Gala announcement. This year’s theme, “Once Upon a Time”, ties in with the cause. Proceeds from the gala will support pediatric care. Some of the ways the funds will be used are a pediatric gym for rehabilitation services, a bilirubin blanket for treatment of jaundice in newborns, and a pediatric positioning device to secure a child in place during an MRI exam. Play equipment will also be purchased for Riverwood clinics and the emergency department. The entertainment will include three to four acts featuring the musical talents of local children. To top off the evening, a local DJ will play music for dancing. Tickets are $100 for individuals and $1,000 per table for organization or group sponsorships. A variety of sponsorship opportunities are available as well. Adding to the fun of the evening will be silent and live auctions. This entry was posted in Foundation News & Events, News & Information and tagged Aitkin County, raising funds for pediatric care, Riverwood Foundation, Riverwood Gala 2018, Riverwood Healthcare. Bookmark the permalink.